Join us for breakfast and our Annual General Meeting on the second morning of the CropConnect Conference. Attendance to our meeting is free of charge. Can’t make it to the meeting? 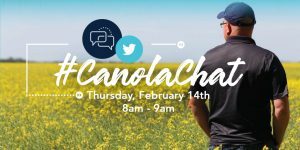 Join us for an online hour, February 14th from 8am to 9am on Twitter – your opportunity to tell us more about your farm, while learning how your check-off dollars are working for you.